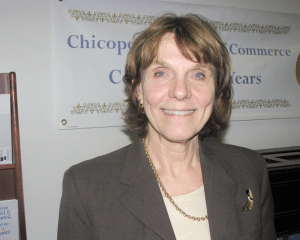 Gail Sherman says the Greater Chicopee Chamber will have a lot to celebrate at its 50th-anniversary party later this year. 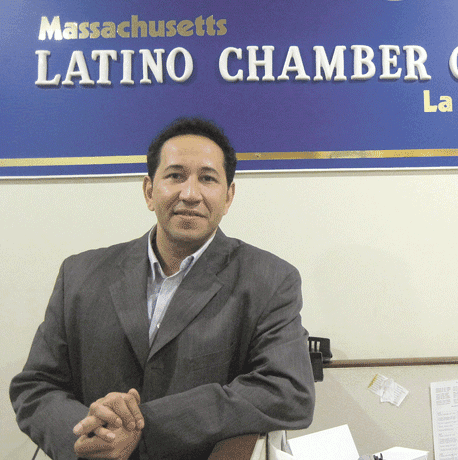 Oct. 12 is shaping up as a big night for the Chicopee Chamber of Commerce. Make that the Greater Chicopee Chamber of Commerce (GCC). That’s the original, corporate name of the organization that will celebrate its 50th anniversary on that evening with a dinner dance at the Castle of Knights on Memorial Drive. “Through the Years” will be the theme for the event, which will feature a special commemorative program, complete with a pictorial history of the chamber, a salute to board members, recognition of the 13 remaining charter members, (a list that includes Elms College, Chicopee Savings Bank, Spalding, and others), and the unveiling of a new logo that will return the word ‘Greater’ to the chamber’s brand. And while much of the focus this fall will be on the past, there is much to celebrate concerning the present and future as well, said Gail Sherman, who this year will mark 15 years as director of the organization. • Continuation of an accelerator program, or incubator initiative, that has helped a number of companies move from the garage or home office into the Western Mass. business community. For this issue and its Getting Down to Business series, BusinessWest talked with Sherman about the coming milestone anniversary, but more about why she believes there will be much more to celebrate in the years and decades to come. When Sherman arrived at the chamber in 1997 after career stops that included a lengthy stint as managing editor of the Chicopee Herald and later president of the Jay Peak Area Assoc. in Vermont, she didn’t expect that the stay would approach 15 years. What has kept her in the chamber offices on Exchange Street in the heart of downtown has been the ongoing challenge to grow the chamber and make it a more effective force in what would be called the Greater Chicopee business community — and the way it has energized her and yielded a number of successful responses. Indeed, over the years, and in collaboration with several other area chambers and other economic-development-related agencies, the Chicopee chamber has been part of a number of initiatives, ranging from innovative networking events, such as the recent Mine Your Business, to educational programs and the recently launched Business Roundtable series. The key moving forward, said Sherman, is to continue to find new ways to serve the business community as a whole, while also bringing more value to a chamber membership. • Impact the enture business climate. 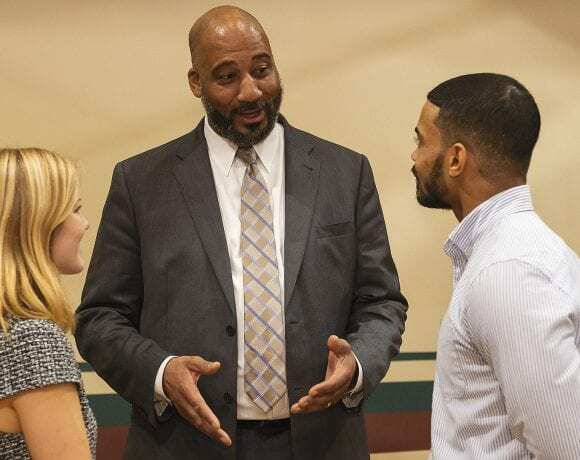 The state budget proposal to centralize policy and budget control of community colleges falls into each of those categories, said Sherman — so much so that a firm position statement on what the GCC calls a “red-flag issue” was deemed necessary. “The chamber considers the local community colleges to be an important economic-development partner,” it reads. “We believe their ability to quickly identify and respond to particular local needs is a fundamental role that the colleges play in preparing residents for the available jobs and future employment opportunities. This ability would be drastically compromised if management were shifted to a centralized entity in Boston. There will be more such position statements — reached when there is a consensus among chamber members on a specific issue — as the need arises, said Sherman, adding that possible subjects include everything from local property tax rates to unemployment insurance rates to a controversial proposal regarding mandated sick leave. 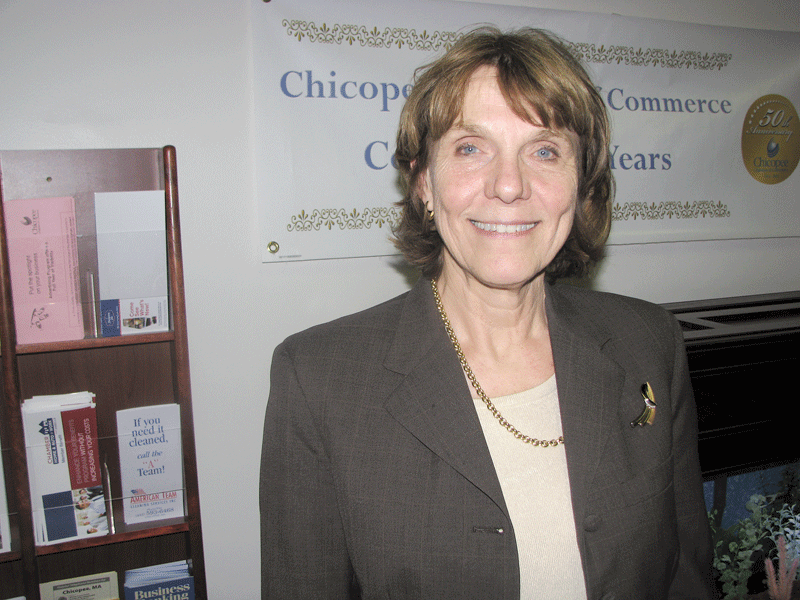 Due in part to the advocacy program and a desire to better reflect the regional impact of its programs and services, the chamber is re-emphasizing its original corporate name and the phrase ‘Greater Chicopee,’ which has not been used in many years, Sherman noted, adding that two area marketing firms, Jasin Advertising and Westwood Advertising, both based in Chicopee, are working on a new logo that will be launched at the October gala. Meanwhile, there are a number of other new initiatives that are also part of that broad strategy to bring more value to members, she continued. These include the two job fairs slated for this summer. They were created to help job seekers find opportunities, she noted, but also to assist employers facing the ongoing challenge of finding qualified workers to fill job openings. The health expo and career fair actually has many goals, she continued, and is in many ways an expansion of a collaborative effort with Health New England focused on health and wellness that included a unique event last fall called “Dancing Your Way to Wellness.” The June 19 event will feature exhibitors from across the medical field, a “Corridor to your Career” section, and a number of health screenings, including blood pressure, blood glucose, and body mass index. The job fair focused on veterans, meanwhile, will have a singular purpose — bringing employers and potential employees together, said Sherman, who cited statistics showing that roughly one in three recently discharged young male veterans is unemployed, far more than double the current national jobless rate. And then, there’s the Easy to Enter Chicopee Center initiative, which has been active in raising money for an immediate need — promoting the downtown while the Davitt Bridge is closed, which it will be for the next two years — if all goes according to schedule. The program includes a Web site (www.easytoenterchicopeecenter.com) that includes a button visitors can hit to find alternative routes into the central business district and a video featuring former Mayor Richard Kos explaining the many things people can do in Chicopee Center once they get there. In addition to these new programs, the chamber is continuing and expanding many existing initiatives, said Sherman, citing, as just one example, the accelerator program that has been in place for more than a decade. There are four incubator spaces of varying sizes at the chamber offices, she explained, noting that, at any given time, at least two are being rented by entrepreneurs trying to get ventures off the ground or to the next level. Current tenants include a massage therapist and Sandler Training, a business started by long-time consultant Jim Mumm that focuses on providing sales-staff training and other services to area businesses. Another ongoing program is the series of business executive roundtables. Led by Lynn Turner and Ravi Kulkarni, principals with the Clear Vision Alliance, these sessions, staged on the second Thursday of each month from November through June, are a forum for leaders to stretch their thinking and challenge current assumptions in order to remain relevant and competive into the future. The chamber’s 50th birthday actually arrives on Oct. 3, said Sherman, adding that she and her staff have been working for the past several months on the party that will come just over a week later and is expected to draw more than 200 people. It will be a celebration of everything that’s happened since 1962, she told BusinessWest, adding quickly that, while this chamber is content to look back for this important milestone, its real mission is to look ahead and find new ways to build on that reputation for innovation and thinking outside the box.